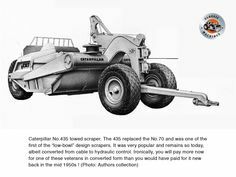 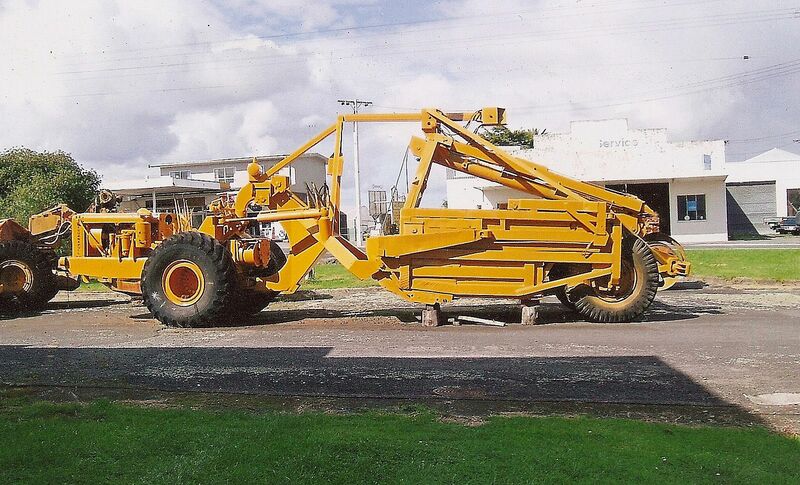 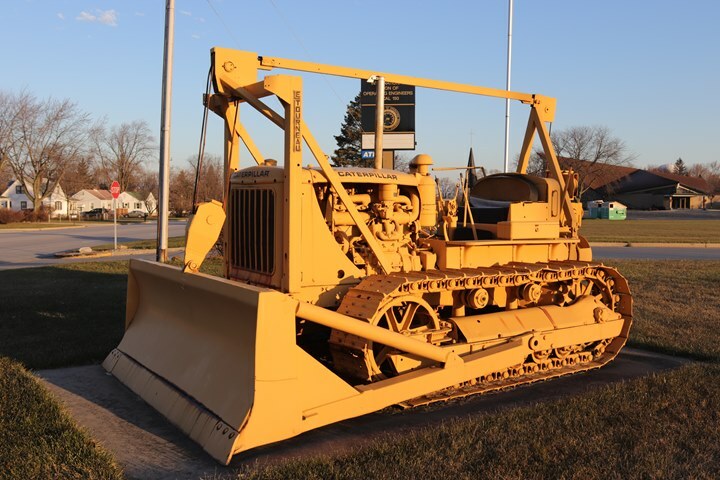 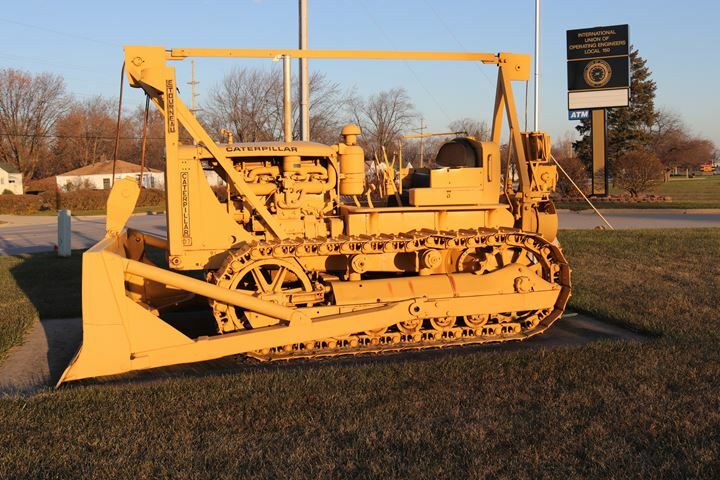 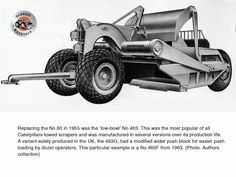 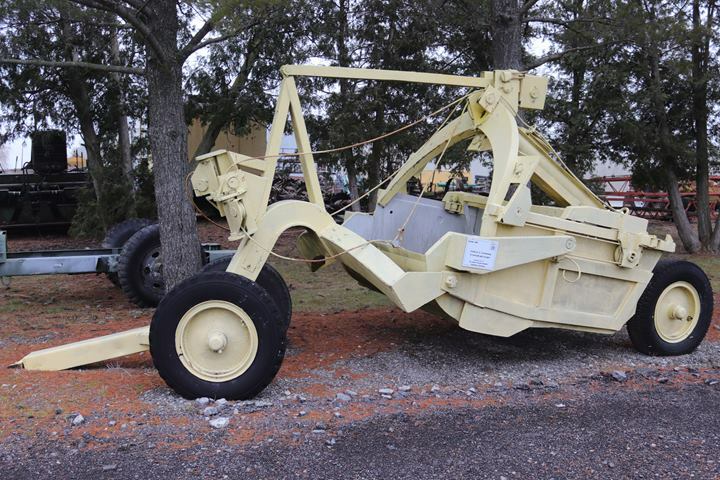 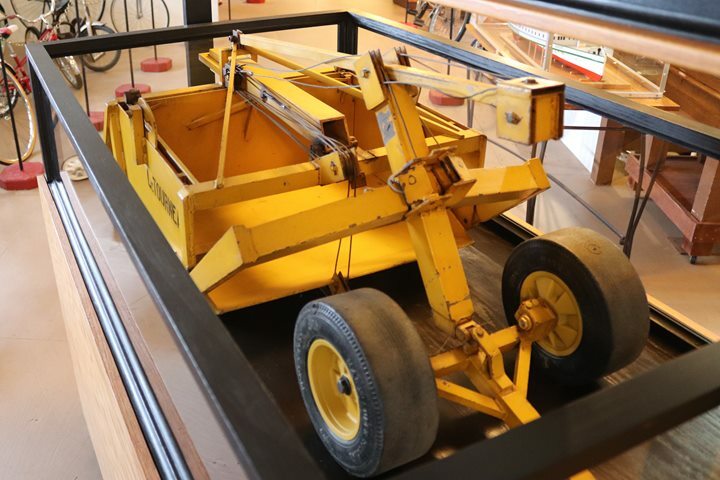 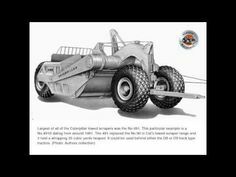 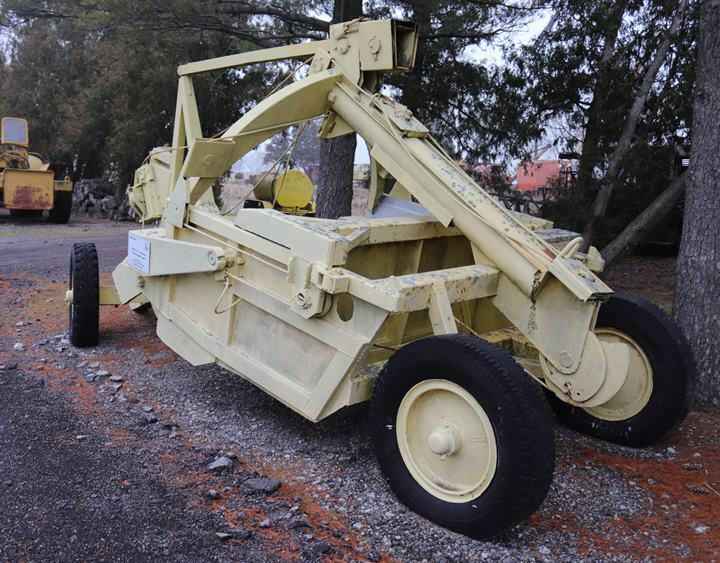 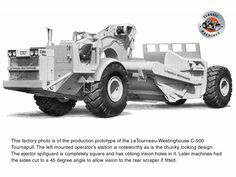 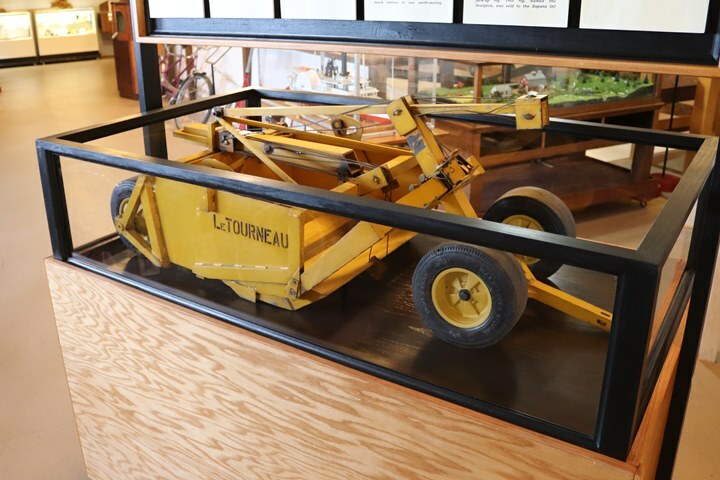 The National Construction Equipment Museum's 1945 LeTourneau D4 Airborne Turnapull with Model Q Carryall scraper. 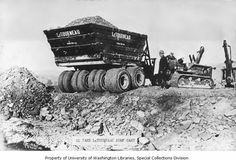 Author's photo. 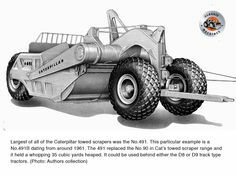 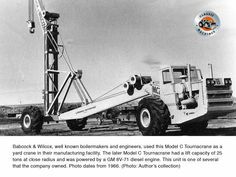 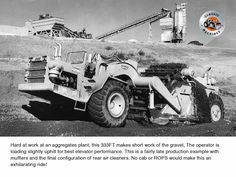 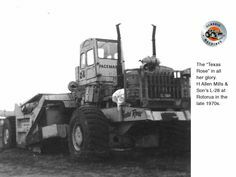 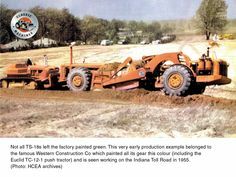 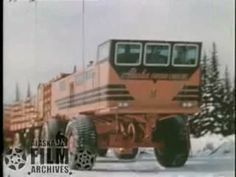 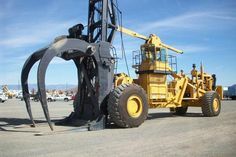 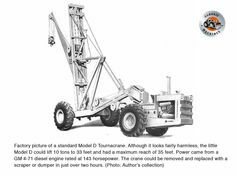 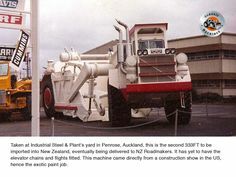 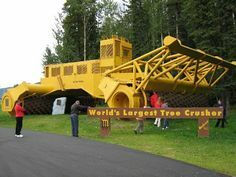 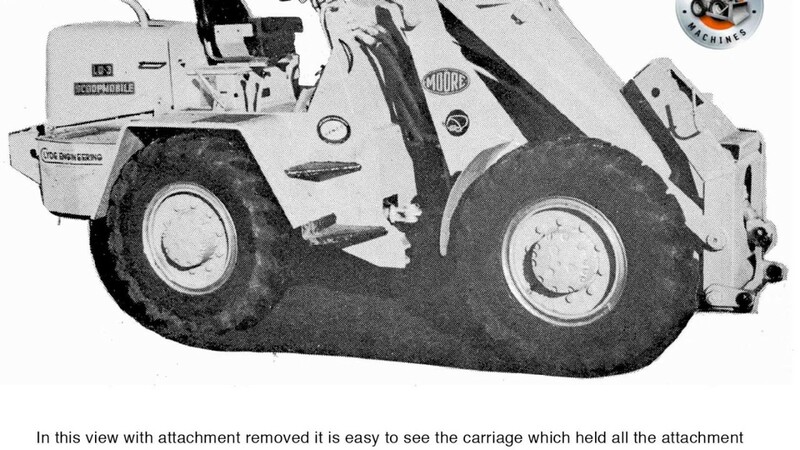 Picture of Model C Tournacrane- this had a lift capacity of 25 tonnes. 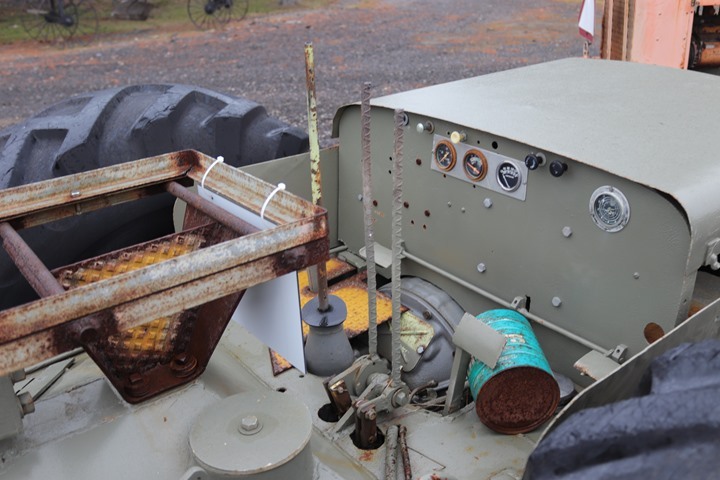 The model P cable power control unit is not complete, as it is missing all of the cables necessary to activate the scraper. 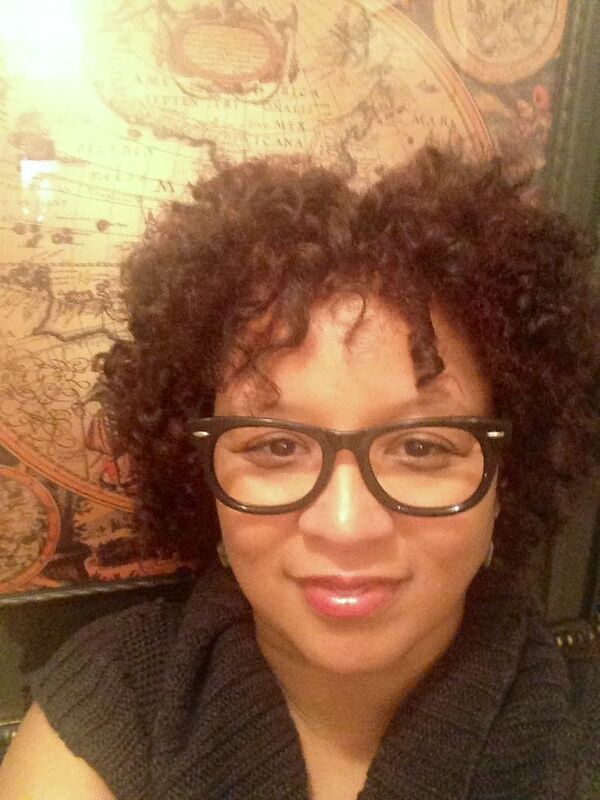 Author's photo. 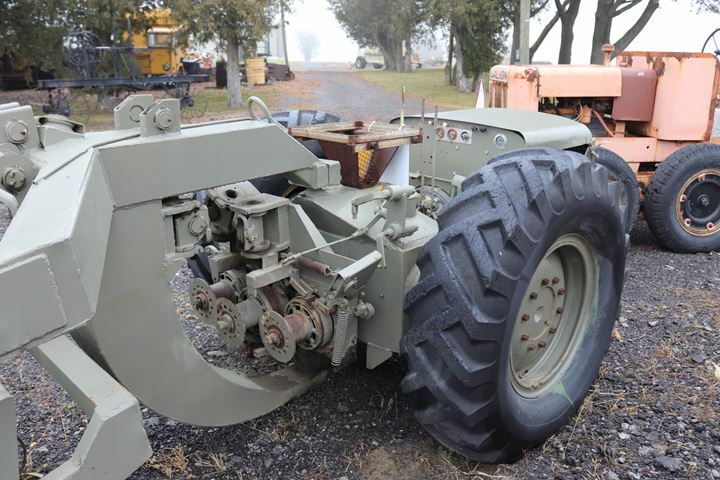 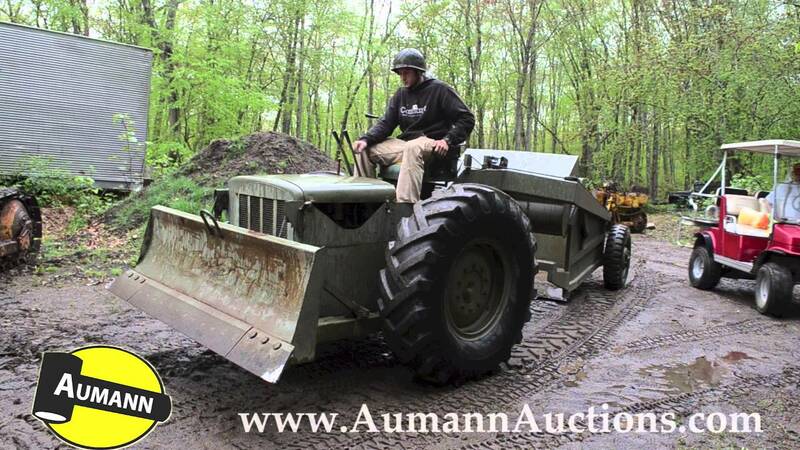 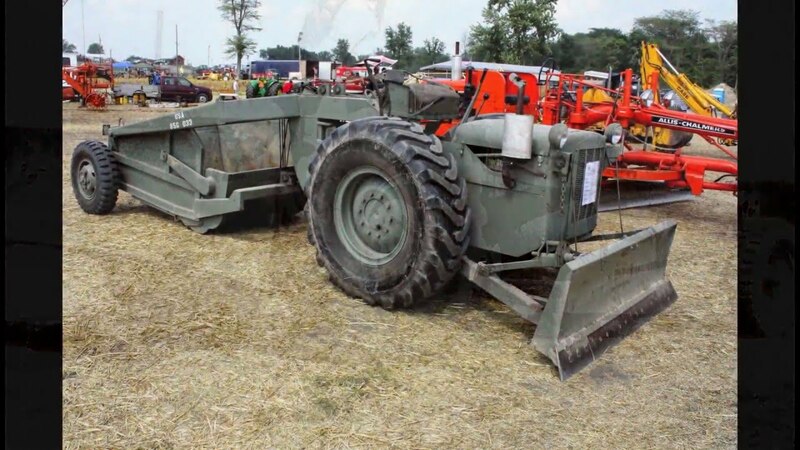 On display is this LeTourneau 1951 LP Pull scrapper in military olive drab. 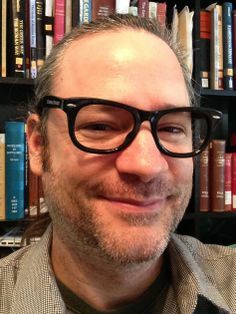 Author's photo. 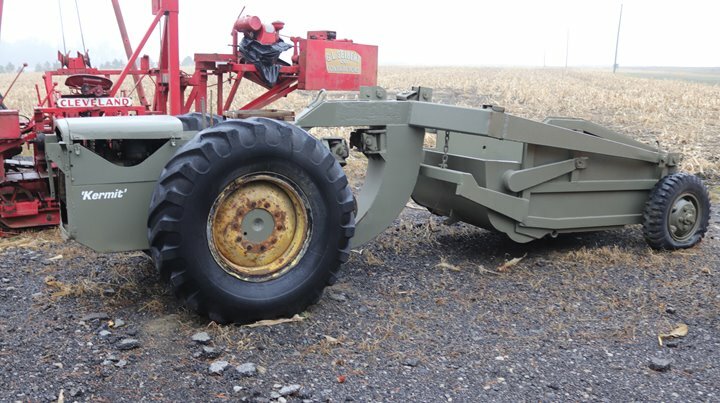 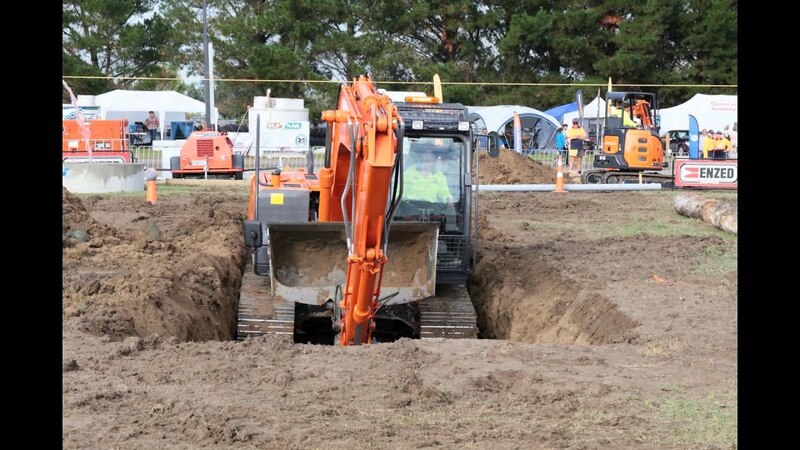 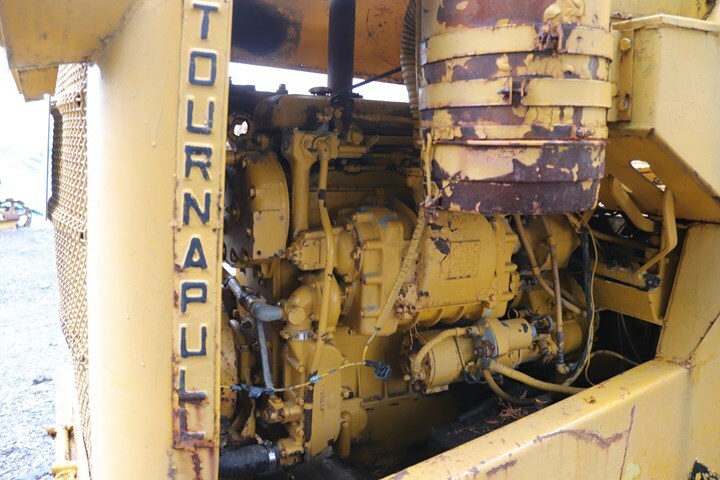 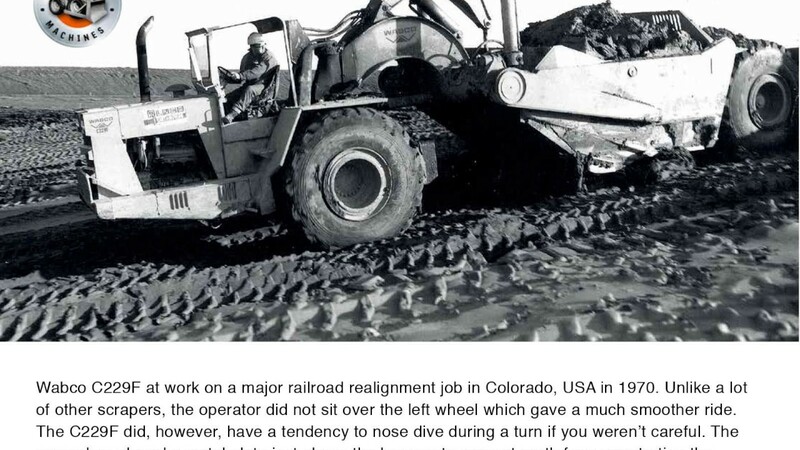 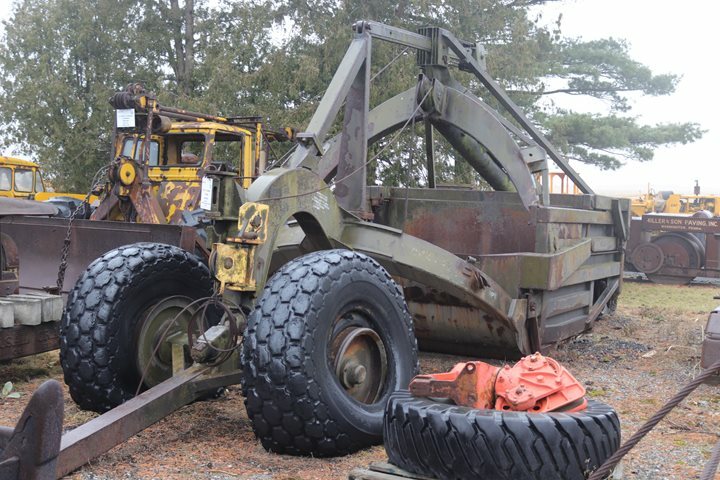 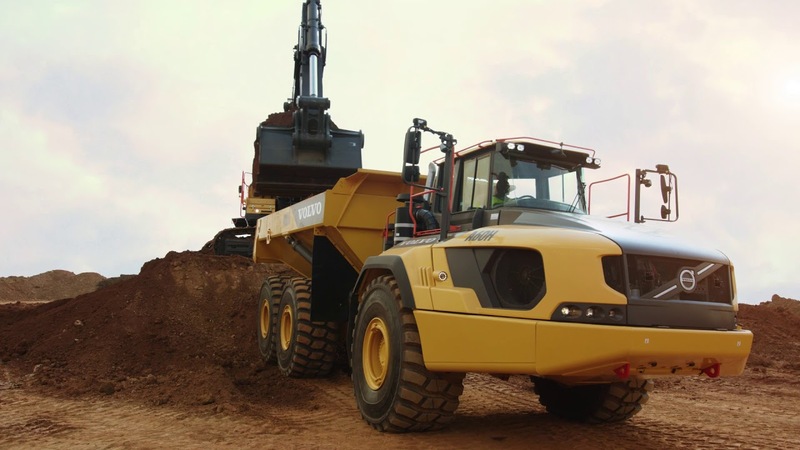 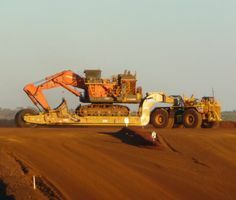 The sheave bracket for controlling the Tiltdozer is still mounted to the front of the Turnapull. 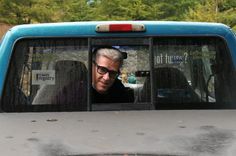 Author's photo. 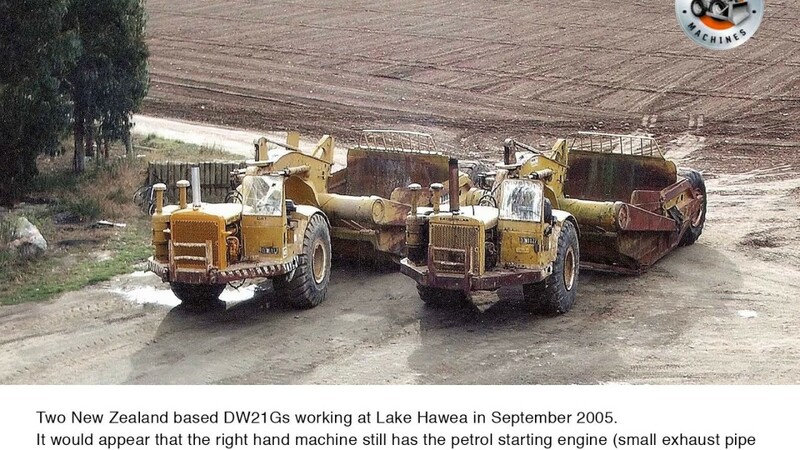 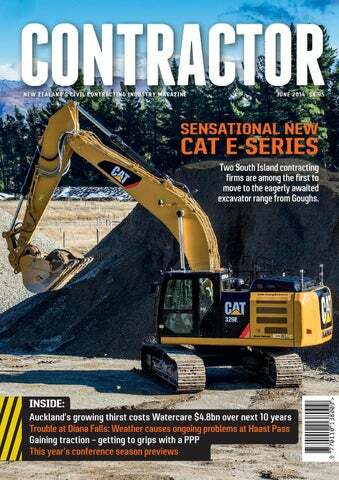 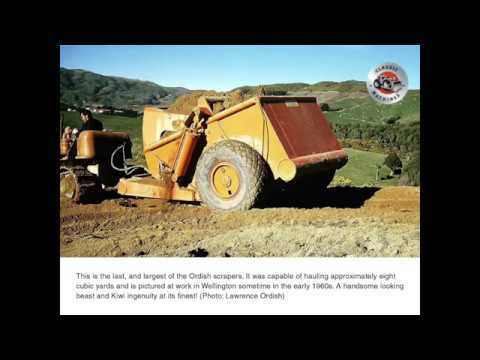 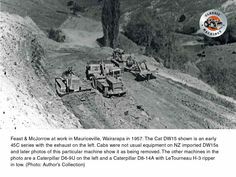 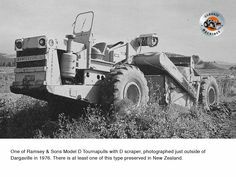 A Cat 45 series owned by Feast & McJorrow working at Mauriceville in the Wairarapa, Accompanied by a Cat and a Cat with LeTourneau ripper in tow. 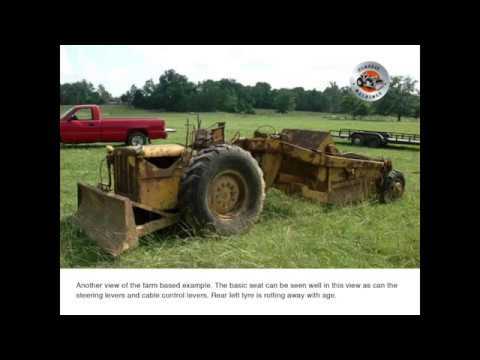 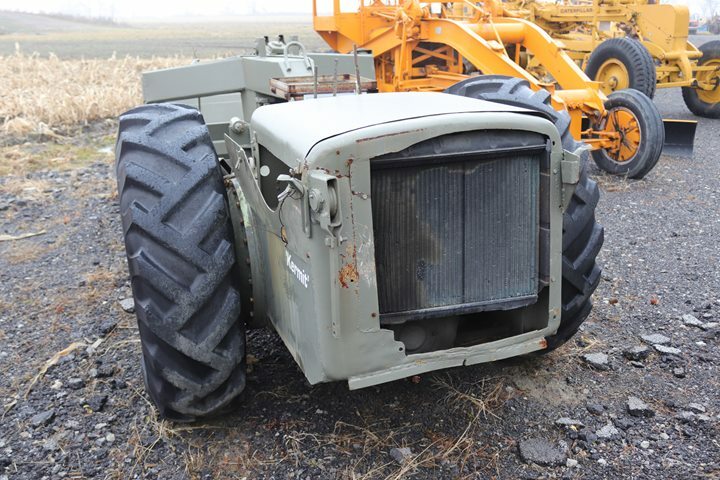 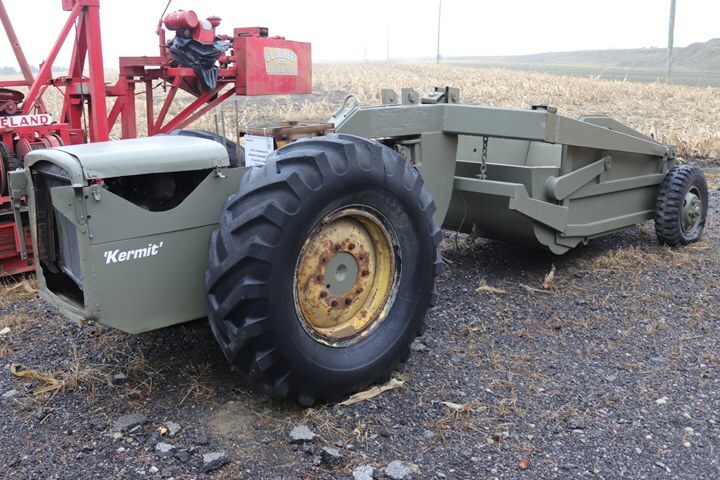 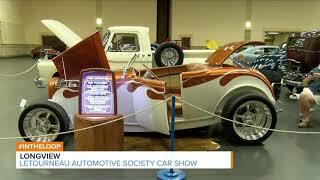 This is a 1940's era LeTourneau Model D Carryall. 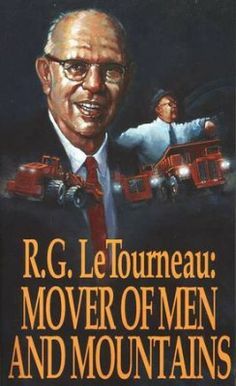 Author's photo. 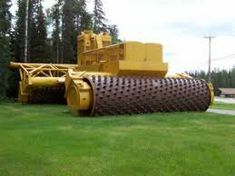 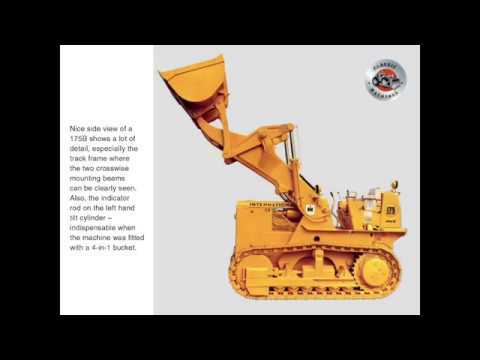 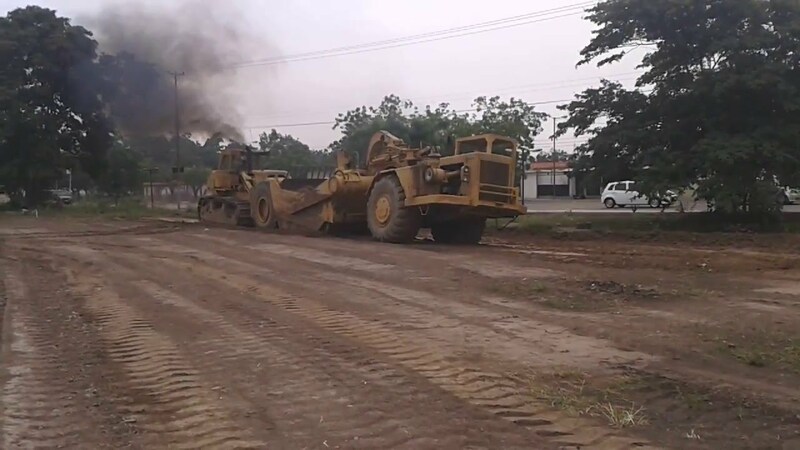 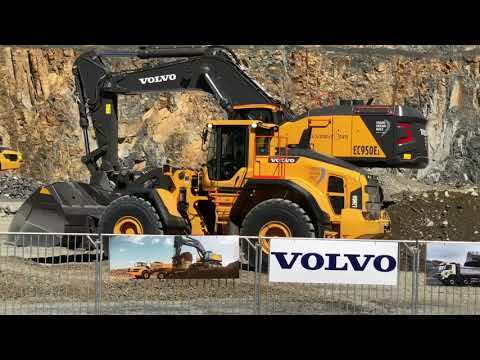 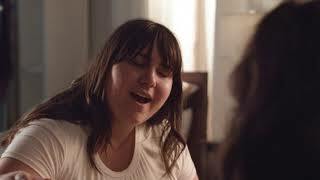 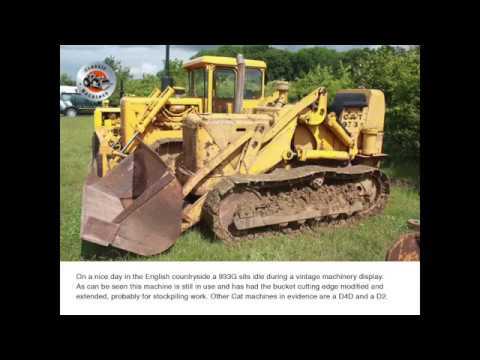 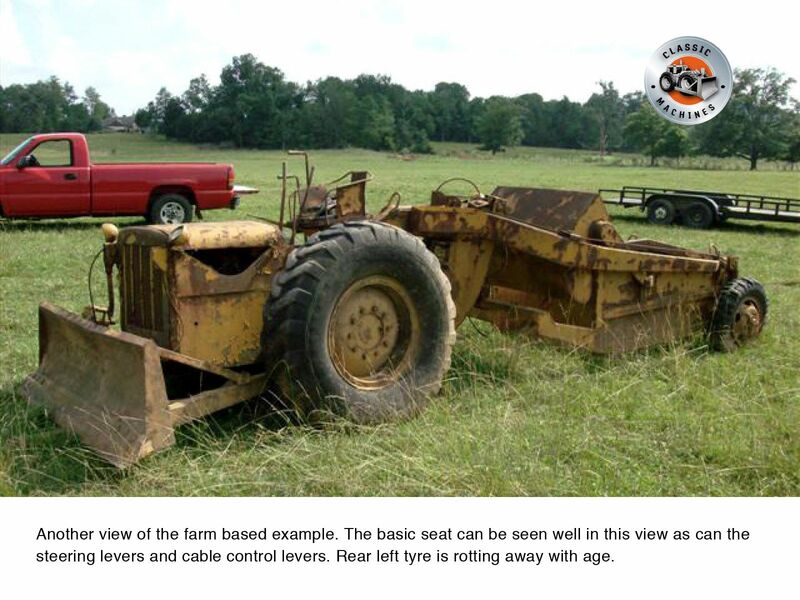 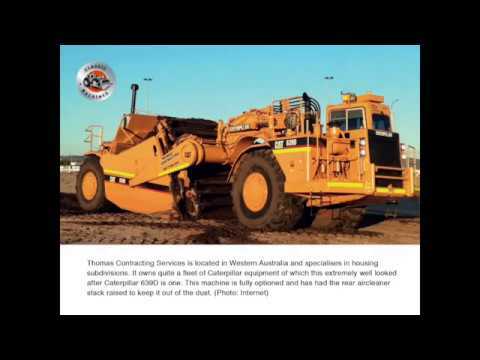 Note that the AD Tiltdozer is missing. 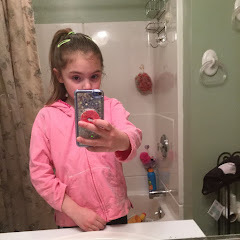 Author's photo. 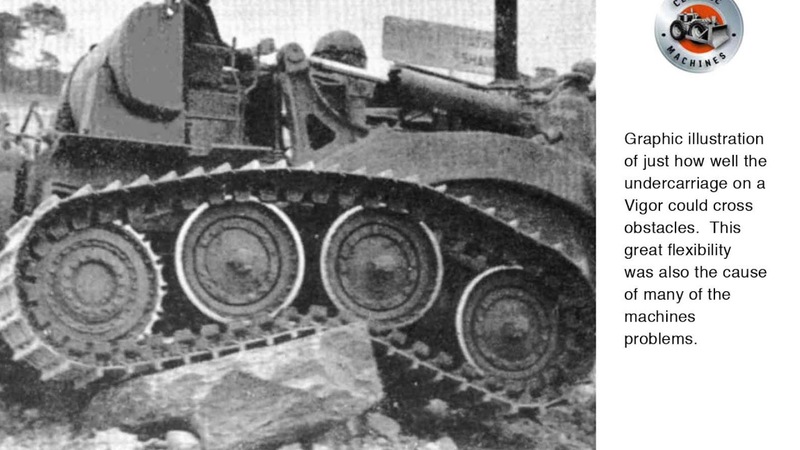 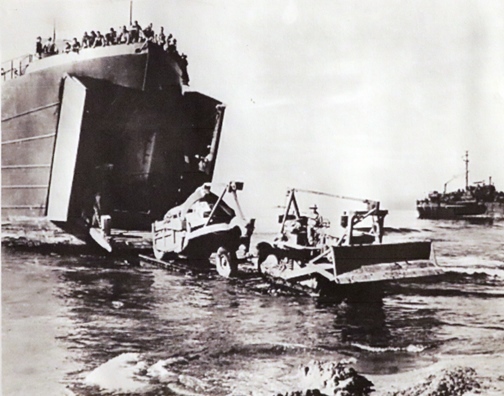 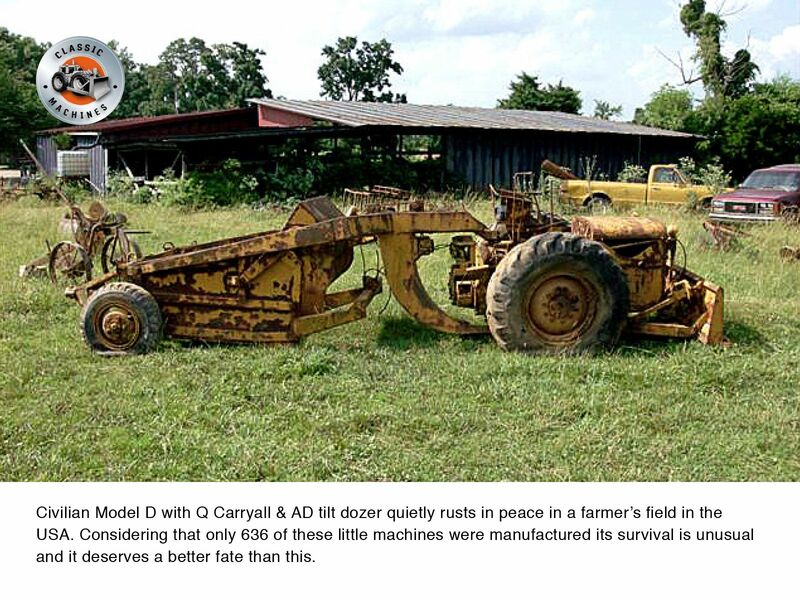 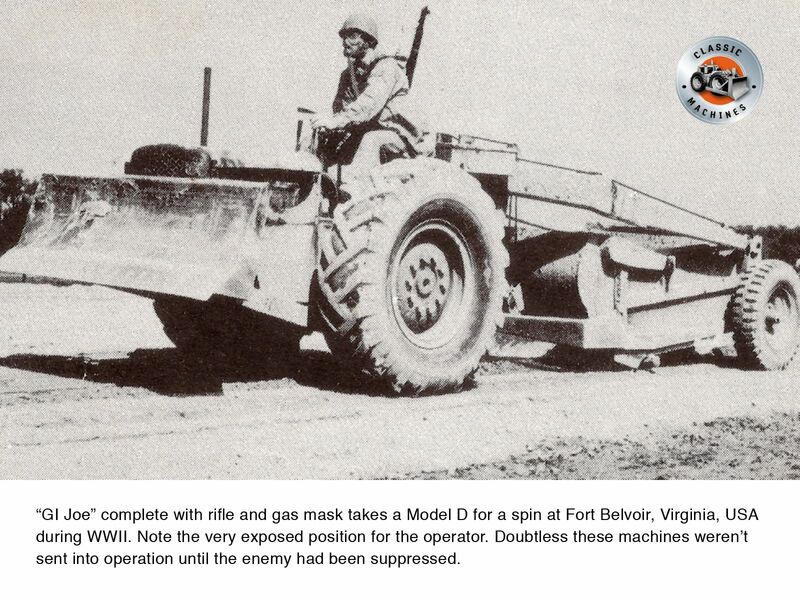 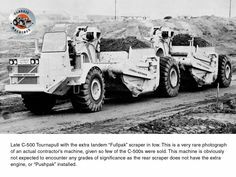 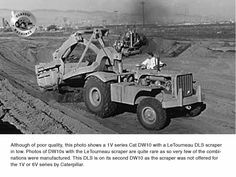 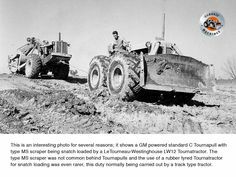 During World War II LeTourneau built 10,000 Carryalls of various capacities for the US military. 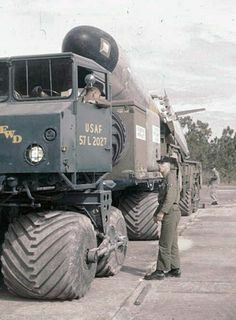 Author's photo. 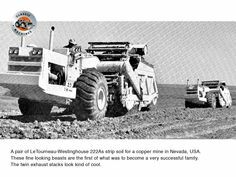 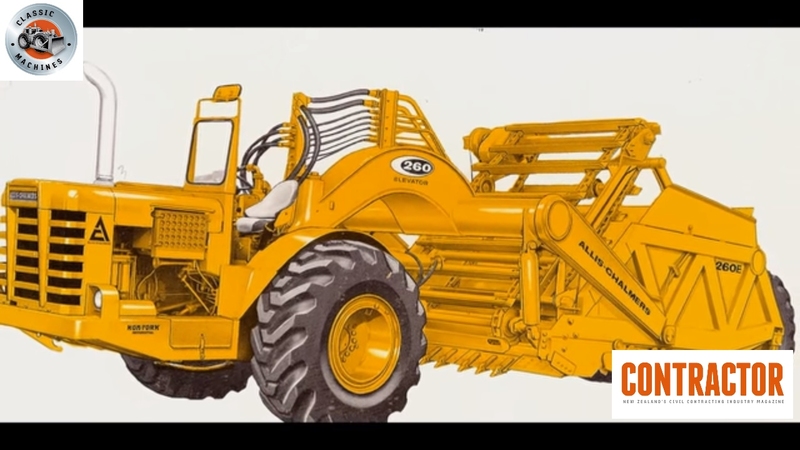 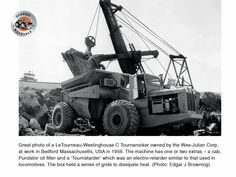 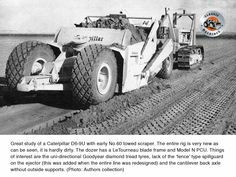 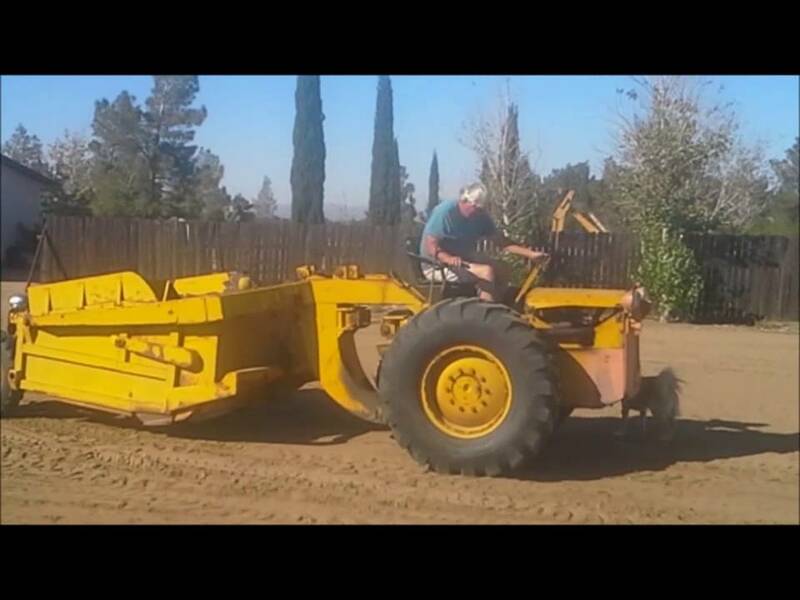 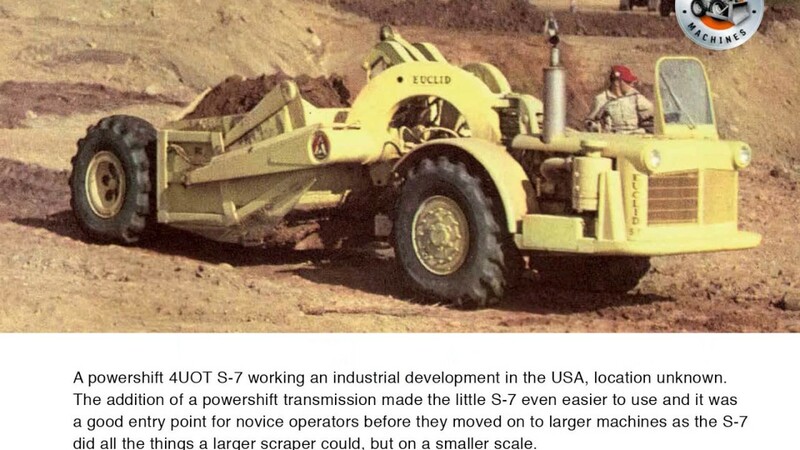 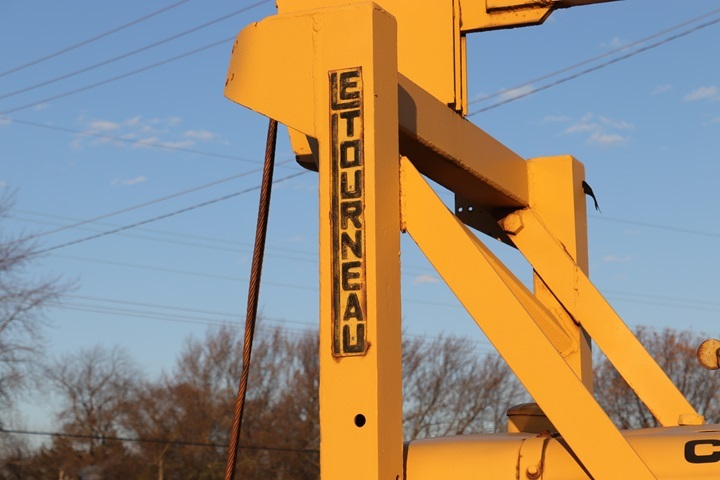 The LeTourneau name is prominently displayed on the bulldozer. 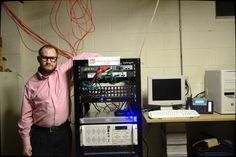 Author's photo. 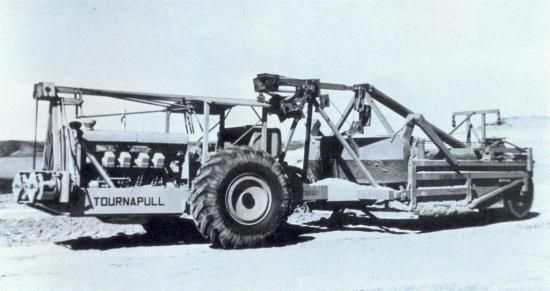 The operator's location and the instrument panel on the Turnapull. 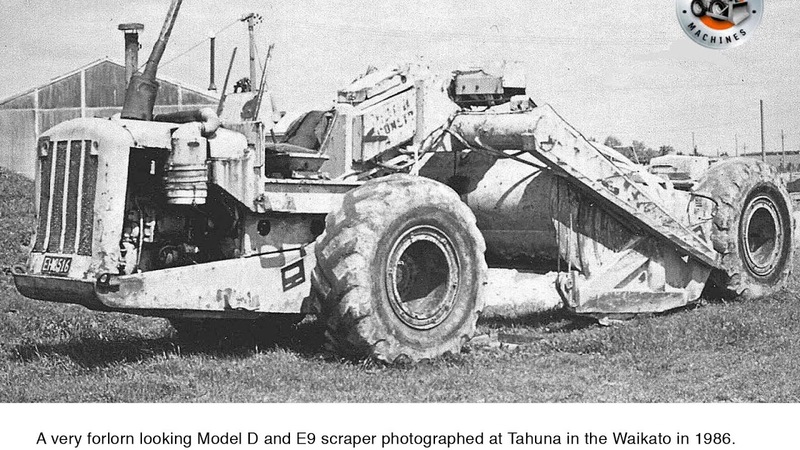 Author's photo. 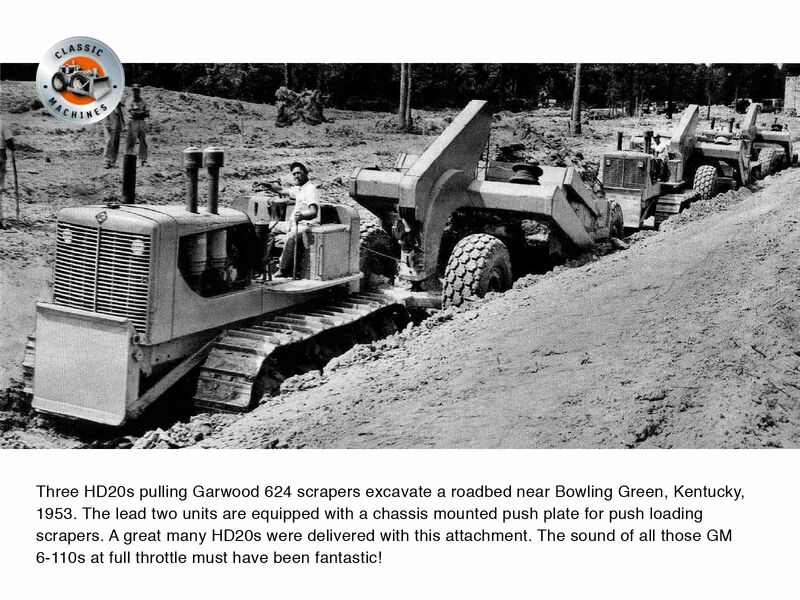 Three HD20s push Garwood scrapers on a Kentucky road cutting- 1953 snapshot.